The BRICS nations, influential members of the G-20, are likely to push their agenda in the forum with greater force under Russian presidency of the world body. As Russia assumes the chairmanship of G-20 - a grouping 19 countries and European Union - it gets yet another opportunity to significantly influence global affairs and restore its role as a major global player. This is the second time after the Soviet disintegration that Russia is assuming such a global role preceded by its chairmanship of G-8 in the year 2006. 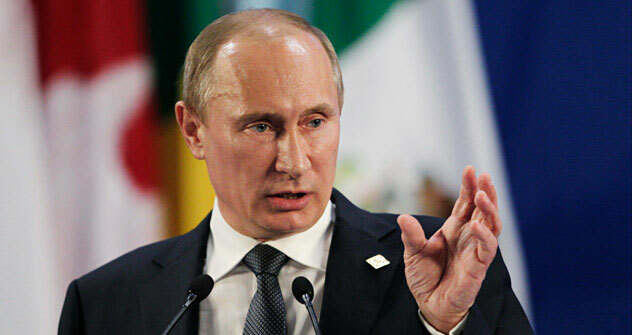 President Vladimir Putin has in this connection said that Russia would offer a positive and substantive agenda that addresses the common problems that concern the whole world. The priorities of Russia during its presidency over G-20 as unveiled by President Putin would include economic growth and job creation through stimulation of investment, trust and transparency in the market and effective regulation. Reform of the global financial architecture, improvement in the functioning of the IMF and providing a greater voice to emerging and developing countries in global financial affairs have been set as key tasks of the G-20 in the backdrop of the declining status of G-8 in global economic and political affairs. G-20, largely perceived as the substitute of G-8, accounts for 80 percent of the world’s GDP, 80 percent of global trade and two-thirds of the global population. According to IMF estimates, the G-20 group countries account for around 83 percent of the world’s economic growth by nominal GDP and GDP (Purchasing Power Parity). The G-20 is designed to prevent financial and economic crises through recommendations on reforming the architecture of global economic and financial management in conformity within the realities of 21st century. The forum, initially designed as a body for cooperation and consultation on issues pertaining to the international financial system , has carved a greater niche for itself in global economic matters , particularly after the outbreak of the prolonged global economic crisis that has gripped the western economies over last several years . With the G-20 growing in stature after the 2008 Washington summit , its leaders announced in September , 2009 that the group would replace the G-8 as the main economic council of wealthy nations. The G-20 summit was contemplated as a response both to the financial crisis of 2007-2010 and to a growing recognition that key emerging countries were not adequately represented in the core global economic discussion and governance. As recognition of G-20’s legitimate role and growing stature in global financial matters, regular G-20 summits are planned in addition to the Meetings of Finance Ministers and Central Bank Governors, who continue to meet to set the summit agenda and implement its decisions. After the debut summit in Washington in 2008, G-20 leaders met twice a year in London and Pittsburgh in 2009, Toronto and Seoul in 2010. Since the November 2011 Cannes summit, G-20 summits are planned to be held annually. Russia would host the next G-20 summit scheduled to be held at St Petersburg in September, 2013. Russia is planning dozens of meeting s at the ministerial and expert levels before the St Petersburg summit during its presidency. The St Petersburg summit would be preceded by a meeting with finance ministers and Central Bank heads of the member countries. The first such meeting is planned for mid-February, 2013. Russia has proposed a joint meeting of G-20 finance and labour ministers to tackle the issue of unemployment in the global economic context. Although global financial issues are always at the top of G-20 agenda, Russia is likely to provide a social dimension to the forum by emphasising the issue of food security and raising the standard of living of millions of people across the world. In this context, speaking to journalists, head of Presidential administration Sergey Ivanov has stressed, “Our main task is to concentrate the G-20 efforts not simply on discussion of the most important issues. Our aim is to make practical decisions aimed at healing the global economy and finances, stimulating economic growth and job creation. Ivanov listed attracting investments, facilitating job creation and improving the work of the IMF among priorities of Russian presidency over G-20. IMF should and would remain in the focus of attention of G-20 during the Russian chairmanship over it. All five BRICS nations, influential members of the G-20, are likely to push their agenda in the forum with greater force under Russian presidency of the world body. BRICS countries are set to hold a number of meetings amongst themselves and with non-G-20 members and organisations in the sidelines of the summit and on its eve. BRICS-member countries are determined to continue their push for a greater voice in the IMF. They want to be certain that IMF decisions do not affect their economies adversely. The issue of including the national currencies of the BRICS countries into the SDR (Special Drawing Rights) basket of four global currencies officially used by the IMF is likely to remain prominent in the agenda. The struggle for IMF leadership continues. The quotas have been redistributed, which means that there should be more votes non-aligned with the US on the IMF Board of Directors. The IMF quotas depend on member states’ contributions. If the BRICS expand their share of fees, then control of the IMF should gradually shift to emerging and developing nations. This issue would obviously remain high in G-20 under Russian presidency. Moscow plans to organise a separate BRICS conference to discuss the issue of strengthening the group’s role in IMF policy-making. As G-20 President, Russia is learnt to be planning to organise meetings with non-G-20 countries, to hold conferences with youth, civil society, business and trade union communities of G-20 member-countries. As emphasised by the head of Kremlin administration Sergey Ivanov, the whole idea is to produce a result-oriented document in the G-20 summit which would define the steps the countries would take collectively as well as individually for securing sustainable and balanced development of the world economy . Russia’s G-20 presidency augurs well for growth and justice, will help remove global imbalances and create a just global economic order. Arun Mohanty is Professor, School of International Studies, Jawaharlal Nehru University and Director of the Eurasian Foundation.